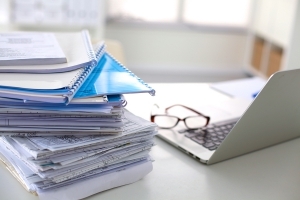 When faced with document shredding in the past, businesses and individuals typically dealt with two basic options—either tackling the messy work themselves with a shredder of their own, or if there was enough to shred, taking it to an offsite facility or scheduling with a mobile shredding provider. 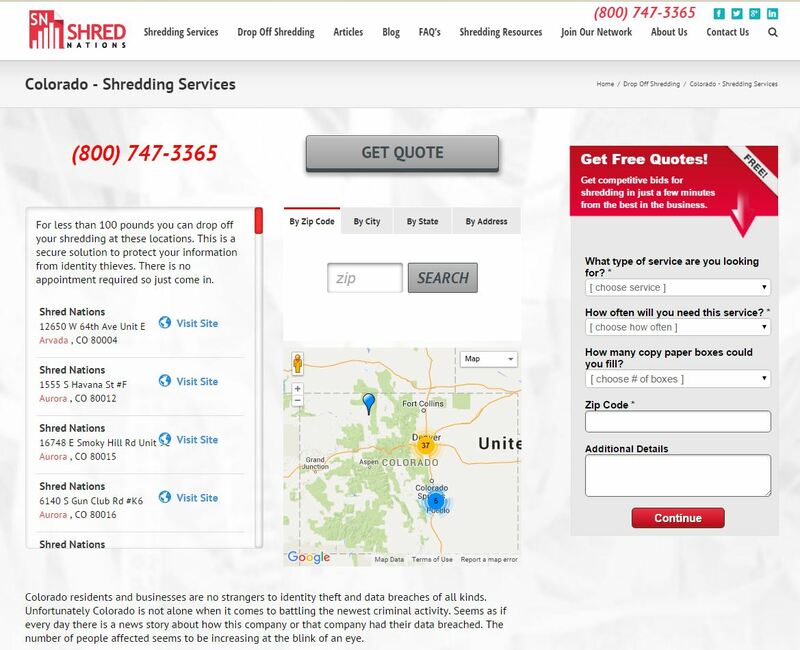 But where did this leave consumers searching for shredding services geared more towards smaller projects? Up until practical and cost-efficient alternatives like drop off shredding came around, they were left to fend for themselves. 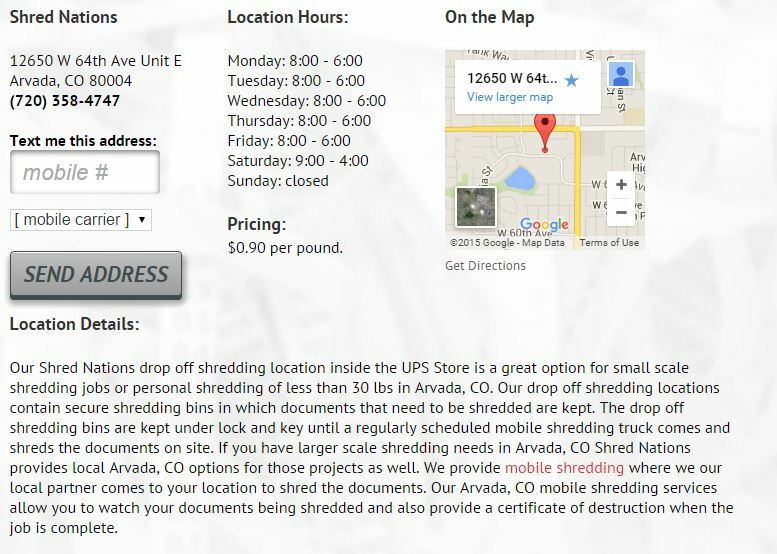 With drop off services, the shredding process is as simple as dropping a letter in a mailbox. Upon visiting any drop off location, just a five minute conversation can have documents weighed, paid for, and locked in a secure bin until pickup by a partner shredding company—so you can get on with your busy day. When Is Drop Off Most Useful? Often found inside of shipping and packaging locations such as the UPS Store, drop off shredding services work exactly as their name implies. With no appointment or scheduling needed, all it takes to get convenient shredding services at a small-scale price is simply walking into a nearby drop off location. Featured as an on-call, always-available service, drop off is the reliable option for those needing shredding but who don’t have enough to justify the cost of major services. With locations in every state and most major cities—there’s a chance you’re already passing a readily-available Shred Nations drop off facility on your way to work each day. Throughout this in-depth white paper, we explore not just what drop off services and their benefits are, but we also provide a detailed walkthrough for finding a drop off location near you to give a sense of just how easy our process actually is. When Is Drop Off Shredding Most Useful? 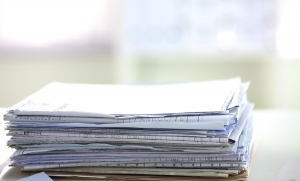 Considering the demand for shredding on a small scale as well as a large one, drop off shredding provides a convenient option for both people and businesses needing to shred a relatively small amount of paper. Ideal for those with anywhere from one to three bankers boxes of documents (up to 100 pounds) to shred, this quick and easy shredding service provides a cost-efficient, walk-in alternative to scheduling a mobile shred truck to make the trip out to you. When there are only a few boxes of papers or less to shred, stopping by a drop off location near you on the way home from work is one of your least expensive shredding options. Shred Nations drop off services charge by the pound rather than by the box like our other services—meaning you only have to pay for what you need shredded. Designed With Small-Scale Shredding in Mind – Perfect for individuals and businesses who need shredding but can’t justify the expense of hiring mobile services, drop off is specifically designed for simplifying the shredding process for small projects. Quick and Convenient – With drop off shredding, there’s no appointment needed. While other services require prior scheduling, drop off locations offer walk-in hours, allowing you to stop in on your schedule. Cost-Efficient – Drop off services charge by the pound, meaning that regardless of the size of documents, their thickness, or whether the box you bring in is jam-packed or half-full, you’ll only pay for what you will shred. Although security is treated with the utmost importance when you use virtually any shredding service, some service options are able to provide more peace of mind than others when it comes to individuals concerned about their documents’ security. Federal and state laws like HIPAA or FACTA mandate that shredding providers handle the sensitive information they destroy with care and confidentiality, and companies partnering with drop off locations are no different. Besides potentially crippling their company reputation, failing to comply with these laws would also expose them to hefty fines. If you prefer or are required by your company to witness the shredding of your documents however, then you may want to pursue alternatives such as our mobile shredding service. With mobile shredding, a specially-equipped shredding truck makes the trip directly to you, shredding your documents conveniently at your curbside while you watch. Many providers even offer certificates of destruction to further guarantee the security of their on-site shredding services. Shred Nations is proud to work with and provide a network of more than 2,000 nearby drop off locations to help conveniently serve the shredding needs of individuals and local businesses alike. If you have a dusty box of old papers in the closet that need shredding, it’s as simple as using our locator to find the nearest Shred Nations drop off location. From there, this will take you to our main drop off page, where you have three different options for finding a nearby drop off location—by zip code, city, or state. 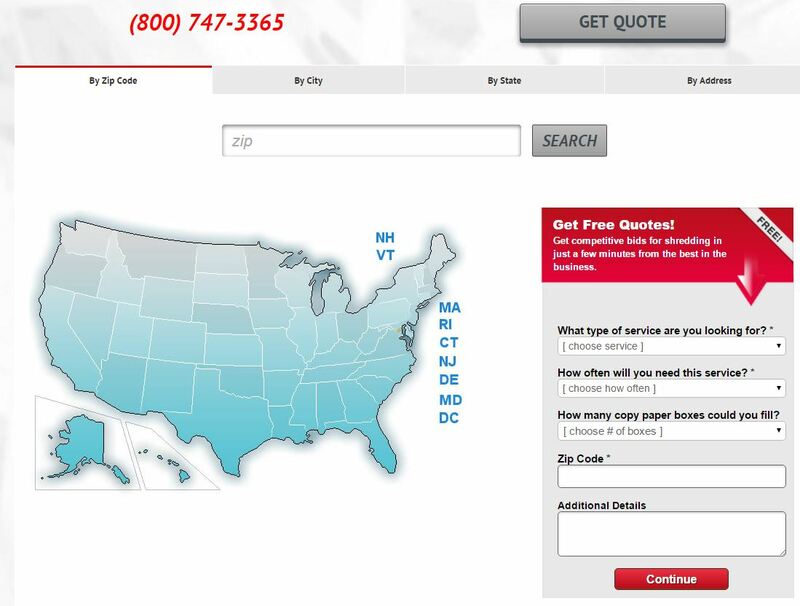 One of the most utilized tools at our customers disposal, the option to search for Shred Nations drop off locations by zip code will often provide the most specific results in terms of drop off shredding locations in the immediate area. If you are simply looking for the closest and quickest location near you, or are looking for a drop off location near a specific area or address, then chances are zeroing-in on a postal code level will provide you with the answers you need. On the other hand, if you are trying to scope out a well-populated area to find the locations nearby offering the best pricing, then you might also want to consider zooming-out one level to search by the city. 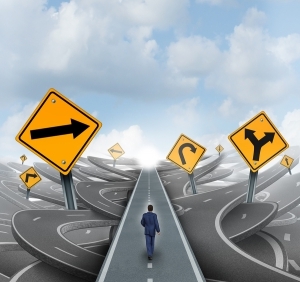 If you value price over convenience, you may find the best deal in the wider pool of results. Searching for drop off locations by city provides a middle ground between the specificity of postal code searches and the wide-ranging results of searching by state. With this option, people can find a range of locations wide enough to allow room for price-shopping, but still specific enough to be always nearby. It should be noted however that when searching for a city with a common name, searches will return only one specific city and usually the most popular, meaning you may want to search by either state or zip code if you are looking for a specific area. Searching by state enables users to get a good general measure of the number of available drop off locations in a large area. Although it won’t necessarily mean the first result will be within a ten minute drive, if you are a business owner searching for locations near franchises scattered across several cities, searching by state offers a great option for comparing and evaluating shredding options. This option can also come in handy for individuals searching for drop off shredding in either rural regions or densely-populated metropolitan areas, as it will typically provide the largest pool of locations to choose from. Once you’ve chosen an option and entered a search, you’ll be provided with a scrolling list of Shred Nations drop off locations along the left side of your screen. To view an individual location, just click on the blue “Visit Site” button next to the location name and information at the left side of the screen. With options for shredding that range far and wide and can even include potentially renting or buying a shredder of your own, the best options for managing shredding can seem difficult to pin down. You want to always consider cost-efficiency, but how can you factor in convenience for small-scale shredding if cost eliminates services like mobile shredding? That’s where Shred Nations drop off locations come in. With no scheduling or legwork of your own needed, drop off stands alone in making small shredding projects as simple as 1-2-3. Know What You Can and Can’t Shred – Although large-scale shredding services can handle nearly anything, some items cannot be mixed in with shredding materials at drop off locations. Before stopping by, ensure everything you plan to shred is accepted—newspapers, magazines, and phone books typically aren’t. How Much and How Often Do You Shred? – Hailed for its cost-efficiency, be sure to take the benefits of drop off services for small-scale shredding with a grain of salt. If you need to shred 100 pounds or more—or need to shred frequently enough that it wouldn’t take long to accumulate 100 pounds of documents—then the easiest (and most economical) option is to opt for a mobile shredding service that comes to you. Don’t Sweat the Small Stuff – The heavy-duty industrial shredders used by our providers can make an easy meal of your documents—paper clips, staples, and all. Once you collect all your documents needing shredding, bring them in as-is, no need to separate or remove bindings. Individuals and businesses need shredding for small projects too, and drop off shredding meets that need with both a convenient and cost-effective solution. With Shred Nations’ network of over 2,000 partner drop off locations—as well as our nationwide organization of top shredding providers—we strive to offer our customers top-flight shredding services able to meet the needs, budgets, and schedules of those we serve. To learn more about our services or to get started searching for nearby drop off shredding locations in your area, simply give us a call at (800) 747-3365, or just fill out the form to your right to get FREE, no-obligation shredding quotes today! While shredding your sensitive personal documents is just as important as securely destroying unneeded business records, the capacities of personal shredders are still not be enough to manage the needs of the average person. Luckily there are affordable and convenient services geared for residential shredding, and with this in-depth white paper, we provide a full breakdown of not only top industry terminology, but also top small-scale services as well. 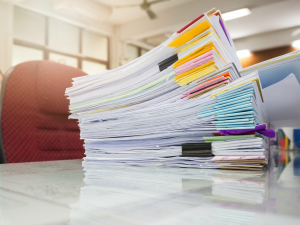 With the various service options available to individuals and businesses needing shredding, it can be hard to weigh the pros and cons of different options against your specific needs. In this article, we provide not just firm definitions of both mobile and drop off shredding, but also examine the advantages of each service individually to help you more clearly compare the two. Is Drop Off Shredding Really Secure? Since customers are unable to personally witness the destruction of their documents themselves, a top question we get at our drop off locations is just how secure they are. However, when you shred using drop off services, documents are placed in a locking personal shredding container which remains secured until its contents are destroyed. Are you the owners of a packaging or shipping store and interested in boosting the foot traffic your business receives? Then maybe Shred Nations’ Drop Off Program is the additional source of income you’ve been searching for. In this article, learn more about how you can also benefit from the growing demand for small-scale shredding by partnering with Shred Nations as a retail drop off provider.